These patches are 100 % cotton kitted fabric. They are lint free, will not shed or fray and have no loose strings or threads to get left behind. Because of the knit in the fabric, it grabs fouling easily therefore cleaning much better than flannel or acrylic. 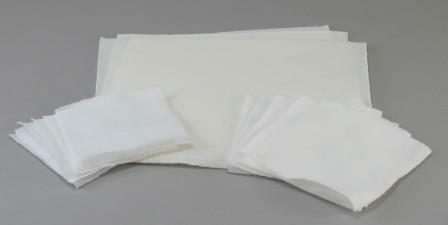 The 6 x 6 patches are a premium knitted pique fabric. Packed 250/bag. The patches are 100 % cotton kitted fabric. They are lint free, they will not shed or fray and have no loose strings or threads to get left behind. Because of the knit in the fabric, it grabs fouling easily therefore cleaning much better than flannel or acrylic. The 6 x 6 patches are a premium knitted pique fabric. Packed 250/bag.